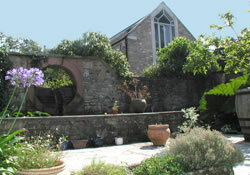 Shepton Mallet Bed and Breakfasts. Compare latest rates and Live availability for all your favourite places and places you have always wanted to go using our new My Shortlist feature. Click + to add to your Shortlist. Bed and Breakfasts in Shepton Mallet, Somerset for 1 night from Fri Apr 19, 2019 to Sat Apr 20, 2019 within 10 miles, in an Average Nightly price range of £1 to £200. Surrounded by views of the scenic Mendip Hills, The Highwayman Inn is situated in picturesque Shepton Mallet. It offers 14 refurbished en suite rooms, and free public on-site parking. Each room features multichannel TV, and tea and coffee making facilities. Hearty, traditional food is served in the inn's restaurant and guests can enjoy a drink in The Highwayman's acclaimed real ale bar. Shepton Mallet is the ideal location from which guests can explore the Somerset countryside. There is a quaint and lively market held every Friday morning and Bristol and Bath can both be reached in 40 minutes' drive. Glastonbury is a 15-minute drive away. Situated in the historic market town of Shepton Mallet in Somerset, Maplestone is family-run bed & breakfast set within a Grade 2 listed building. Originally 17th century weavers' cottages, it is in a secluded location and features free parking. Guests have a choice of bedrooms within a private guest wing, a bedroom with its own private entrance and a traditional country cottage. Each comes with free Wi-Fi, a flat-screen TV and an en suite bathroom, the cottage also features a lounge, a fridge and a microwave. Breakfast at the Maplestone is served in the timber beamed dining room, which offers picturesque views of the walled garden and on sunny mornings it can be enjoyed in the garden itself. A full English breakfast is offered using fresh produce from local farmers markets. Shepton Mallet town centre is just a 10-minute walk away and features a number of restaurants and pubs. Kilver Court Designer Emporium and Gardens can be reached in 7 minutes on foot and is next to the Mulberry Factory Shop. Set in a 15th century building in Croscombe, between Shepton Mallet and Wells, B&B The Cross at Croscombe offers bed and breakfast accommodation and a beautiful courtyard garden. Free private parking is possible on site, and free WiFi is available in public areas. All the rooms at B&B The Cross at Croscombe are individually designed and have an en suite bathroom. Most room have king-size beds, and all feature a flat-screen TV, tea/coffee making facilities and free toiletries. Breakfast is served every morning in the dining area, which features oak beams, flagstones and an inglenook fireplace. There is also a spacious lounge and delightful courtyard garden for guests to enjoy. Packed lunches are available prior request. Drinks, snacks and other light bites are available daily, and lunch is served most Saturdays and Sundays. The property is just 9 minutes' drive from Mendip Hills Area of Outstanding Natural Beauty. Nestling in the heart of Somerset one of the UK s most beautiful counties The Crossways offers great food and superb accommodation. We are an AA-rated 4-star Inn and our bar and restaurant is open to non-residents. So whether you are looking for an overnight stay in Somerset or need a week or more of rest and relaxation Crossways offers you the perfect location for visiting the county s most popular attractions. Our chic bedrooms are spacious and feature en-suite bathroom Freeview flat screen TV and tea- and coffee-making facilities. Rooms with four-poster bed and family rooms for up to two adults and three children are also on offer. We are an AA 4-star rated and an AA Rosette awarded restaurant. We are proud of our AA rating - only 10% of restaurants in the UK have been awarded rosettes! Our resident head chef is passionate about using the freshest locally sourced ingredients from across Somerset to create a range of contemporary and classic dishes so you can be sure of a superb meal. Free parking and free Wi-Fi access in all areas are also available for added convenience. /p A stay at The Crossways places you within a 15-minute drive to Wells Glastonbury and Shepton Mallet. Also within 15 minutes by car are local attractions such as Wookey Hole Caves Glastonbury Abbey and Glastonbury Tor. Great food coupled with impressive accommodation and fantastic views across the Somerset hills makes The Crossways a stylish place to relax and explore Somerset. This quirky 16th century former coaching inn has undergone complete refurbishment to provide five comfortable en-suite bedrooms. The snug bar provides a relaxing area for guests to enjoy a lovely cooked breakfast in the morning. br / br / br / br / The property is situated in the heart of the charming ancient town of Bruton with its quaint features and easy access to a number of surrounding places of interest including Longleat Frome market town Stourhead Cheddar Gorge and Bath Spa and only ten minutes from the Bath and West showground. The town is of course home to the Hauser and Wirth modern art gallery with accompanying gardens by the renowned landscape designer Piet Oudolf.There are also a number of excellent places to eat in the town and the property is ideally situated for the local wedding venues Mill on the Brue and Gants Mill. br / br / br / br / Whilst we do not have a car park there is plentiful free parking close to the property. We regret that the property is not suitable for customers with limited mobility. As we are based in the heart of rural Somerset we ask guests to remove their shoes in the carpeted guest areas. The Best Western Plus Centurion Hotel is located between Bath and Wells, with leisure facilities. The property's restaurant overlooking the parkland golf course and ample free parking. Within easy reach of the Centurion Hotel is the unique World Heritage Site of Bath, including the Roman Baths, Bath Abbey, the Thermae Bath Spa and famous cathedral. Also nearby is the moated Bishop's Palace at Wells, mystical Glastonbury, Cheddar Gorge, Bristol and many areas of natural beauty in the Quantock and Mendip Hills. Enjoy free use of the extensive leisure facilities, including a fully air-conditioned gym, sauna, steam room and spa pool. Guests can also try the 9-hole parkland golf course (green fees apply).